Get ready, baseball fans. 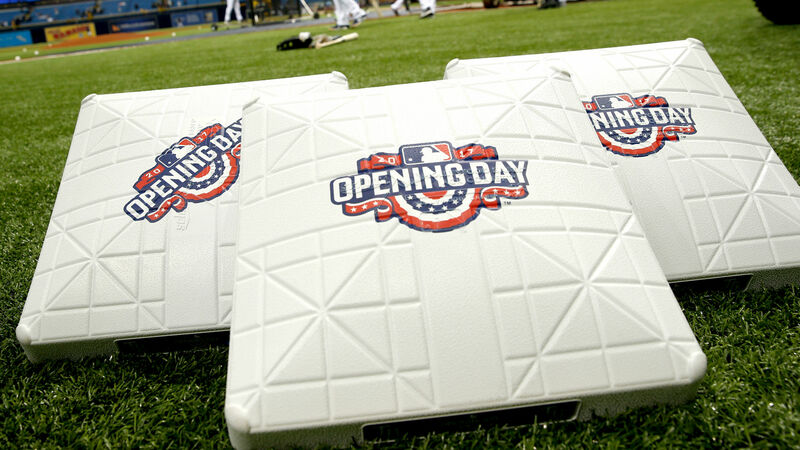 MLB’s 2019 Opening Day has finally arrived with a jam-packed schedule to begin the new season. It’s exactly five months since the Boston Red Sox won Game 5 of the World Series to claim their ninth title. After a slow start to baseball’s offseason, the drama ramped up in recent weeks with several of the biggest deals in MLB history taking place with some of the game’s most recognizable names. Bryce Harper and Manny Machado held the sport hostage for months, negotiating record-breaking contracts with each landing in a new city. Harper will make his Philadelphia debut following when the Phillies take on the Braves, while Machado debuts for an up-and-coming Padres team against the Giants. The biggest winner of the offseason, though, was Angels superstar Mike Trout, who inked a record, 12-year $430 million extension to remain in Los Angeles. Trout and the Angels open their season against the most talented team in the AL West, the Houston Astros. Here’s a guide to watching MLB’s 2019 Opening Day action, including a full TV schedule and how to stream games live online. ESPN will broadcast three games to a national audience on Opening Day, but other games outside of a viewer’s market are otherwise difficult to watch. Here’s the entire TV schedule for every game played Thursday, subject to MLB’s blackout restrictions. The three games broadcast on ESPN can also be streamed on the WatchESPN app. Any games airing on a Fox Sports regional network can be streamed on the FoxSportsGo app if you are within that region’s market. MLB.tv games can be streamed on the At Bat app. The new option on the scene for 2019 is DAZN’s “ChangeUp,” a live look-in whiparound show hosted by Adnan Virk. While the streaming platform doesn’t carry MLB games in their entirety, the show is geared toward baseball fans who want to keep up with action from every game at once, showing highlights, live at-bats, analysis, interviews and more. You can subscribe to DAZN here for a monthly rate of $19.99. It also offers a yearlong package for $99.99. What is DAZN’s new MLB show? “ChangeUp” is a seven-day-a-week live MLB whip-around program providing live look-ins to any games in progress while recapping all of the action from the day. “ChangeUp” will regularly air on weekdays beginning at 7 p.m. ET and conclude after the final pitch of the evening. Weekday programming will be hosted by former ESPN personality Adnan Virk and comedian Scott Rogowsky. The pair will be joined by Lauren Gardner, Tony Luftman and Alfredo “Freddy” Lomelí. Anchoring the weekend edition of “ChangeUp,” airing every Saturday and Sunday from 10 p.m. to midnight ET, will be Jake Mintz and Jordan Shusterman of the popular social media duo known as Cespedes Family BBQ. Throughout the week the show will feature appearances from a number of MLB Network’s roster of analysts including Eric Byrnes, Cliff Floyd, Carlos Peña, Harold Reynolds and Hall of Famer John Smoltz. “ChangeUp” is produced at MLB Network’s studios in Secaucus, New Jersey. Unfortunately, there isn’t a way to watch Harper’s first game in Citizens Bank Park unless you live in a Philadelphia or Atlanta television market. ESPN made its national broadcast schedule months in advance of Harper’s free agency deal with the Phillies and chose not to pivot from its original plan at the announcement of his signing. Who is Kelley Cahill? Jon Rahm’s girlfriend – how long has Instagram star been with Ryder Cup Europe golf ace?